Novartis has announced that its targeted therapy Rydapt (midostaurin) has received EU approval in the two rare cancer indications: newly diagnosed FLT3-mutated acute myeloid leukaemia (AML) when used in combination with standard daunorubicin and cytarabine induction and high-dose cytarabine consolidation chemotherapy, and as a monotherapy in the treatment of three varieties of advanced systemic mastocytosis (SM): aggressive SM, SM with associated haematological neoplasm, or mast cell leukaemia. The news of the drugs’ availabilty is particularly historic according to the company, which claims that Rydapt offers the first real development in FLT3-mutated AML in a quarter of a century, and is the first and only therapy for advanced SM available in the EU. The new approval decision in AML was based on findings of the RATIFY trial, the largest of its kind in this subtype of the disease. In the study, Rydapt demonstrated a 23% reduction in risk of death compared to placebo, with a median overall survival of 74.7 months versus 25.6 months respectively. For advanced SM, findings were also generated in the largest-ever trial investigating the disorder, in which the drug produced an overall response rate of 59.6%. The decision follows a positive opinion for the EMA’s Committee for Medicinal Products for Human Use (CHMP) on 20 July recommending the use of Rydapt. The drug also received approval in the US earlier this year. 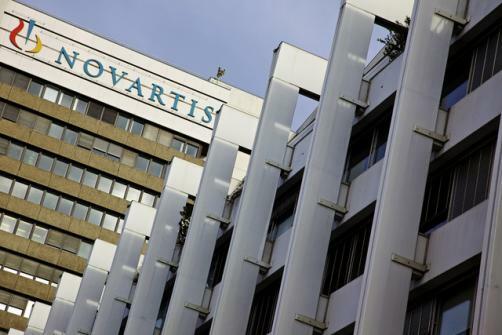 "Novartis is proud that we can deliver Rydapt, a breakthrough medicine, to patients with serious and hard-to-treat diseases where there are few treatment options," said Bruno Strigini, CEO of Novartis Oncology. "For patients with FLT3-mutated AML, there have been no meaningful advancements in more than 25 years and with Rydapt they now have a targeted medicine that could significantly extend their lives."